1. 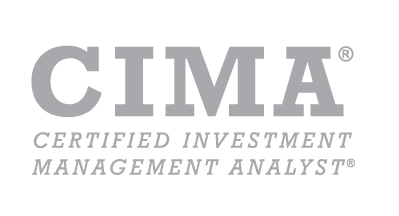 Weekly Market Summary: Stocks were marginally higher on the week, as investors looked past economic reports and trade talks and focused on the all-important earnings season which has just begun. Wells Fargo and JP Morgan led us out of the gate with positive reports today. "Better than Expected and Reassuring" was the read of one Wall Street analyst in describing the early returns for the banking sector. Wall Street will have a laser focus on the 46 S&P companies that report next week and the 146 companies that report the week after. In the face of slowing worldwide economic growth forecasts, stocks need earnings fuel and a trade deal to continue their rally. 2. Trade: Waiting on a China Deal and Picking a New Euro Fight: Talks on a deal to end the U.S. trade war with China continued this week with “a lot of teleconferencing” according to Larry Kudlow, President Donald Trump’s economic adviser. Chinese media are reporting that President Xi Jinping has called for an early conclusion to the negotiations. For markets, the question hinges on when a deal will be signed, rather than if an agreement will be forged. Trade 2: As if you weren’t sick enough with the Canada, Mexico and China trade talks, now the Trump Administration is going after the perceived (and real) trade inequities related to US/European trade. At issue is what the Trump Administration (and prior administrations) considers unfair subsidies granted to Airbus, the French airplane maker, from European nations. In May 2018, the World Trade Organization (WTO) ruled that Airbus indeed received illegal subsidies which, by law, gives the U.S. the right to impose new tariffs against the EU. For its part, the EU is preparing retaliatory tariffs against the U.S. over subsidies to Boeing Co.
3. No Fed is a Good Fed: This week the Federal Reserve Board released the minutes of their last meeting which pointed at declining growth rates along with deeper economic pullbacks in Europe and Asia, as reasons not to raise interest rates. About the only thing that could get the Fed to raise rates would be a jump in inflation and it doesn’t look like that is happening. Major inflation measures reported this week (CPI and PPI) both showed very low inflation readings....As for the markets, with inflation not an issue, the view that the Fed is on hold for the rest of the year will likely continue to be the prevailing sentiment. As far as investors are concerned, no Fed is a good Fed. Confirming the Fed’s stance, this week the International Monetary Fund (IMF) lowered their worldwide forecast from 3.5% growth to 3.3% growth. For now, low economic growth rates equate to low interest rates and low interest rates are asset price friendly. 4. Markets Rise as Individual Investors Leave…What Gives? The curious thing about the rally of 2019 - one of the strongest we have seen in decades - is the continuous outflow of money from stocks, mutual funds and ETFs. 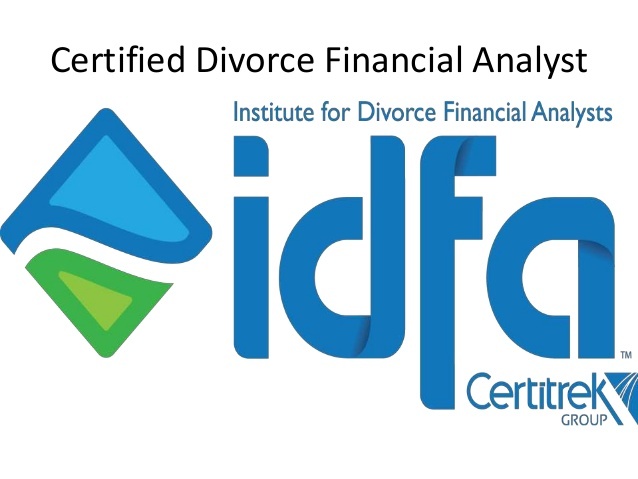 We are about 450 points away from the Dow Jones Industrial's October 2018 all –time highs, but according to data from the Investment Company Institute, retail investors have been net sellers of stocks, mutual funds and ETFs throughout the year. Why has the Market Gone up, then? Some of the market upside can be attributed to stock buybacks, which have been very strong in 2019. Institutional buying of stocks, purchases made by pension funds, foundations and large asset managers on behalf of private clients and governments, may be picking up the slack. In addition, large cap tech stocks, including the FAANGs, have rebounded from their December lows, and are dragging indexes like the S&P 500 and Nasdaq, both market weighted indexes, with it. 5. Golden Crosses Abound: Last week we talked about the fact that several golden crosses (50-day moving average tracking above the 200-day) were occurring in several equity markets worldwide. This week, the trend has continued and broadened. 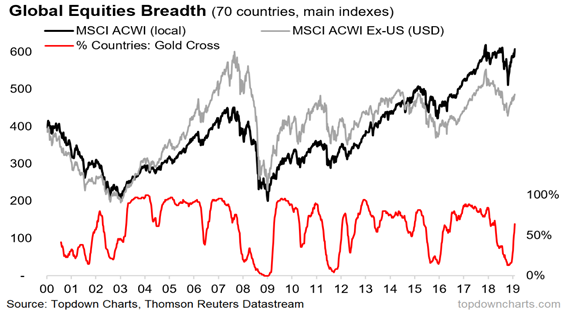 In simple terms, the Golden Cross signal is designed to identify up-trends (aka bull markets).This chart shows the breadth of golden crosses across countries. Of the world’s 70 largest equity markets, 64% (or 45) have seen a golden cross. 81% of Emerging Markets countries have seen a golden cross and 72% of Developed Markets countries have seen a Golden Cross. To be clear, this signal is not designed to get you in at the market bottom. If you are investing on the basis of a golden cross you are basically expecting this indicator to keep you invested through the bulk of an uptrend. 6. The Moment of Truth...Earnings: The investment community has been bracing itself for a decline in corporate earnings now that the 2017 corporate tax breaks made their way through company balance sheets last year, and global economic growth is slowing. We have known decelerating benefits of tax breaks would factor into corporate performance in 2019, but this is our first opportunity to see just how big their impact was in the first quarter of the year. 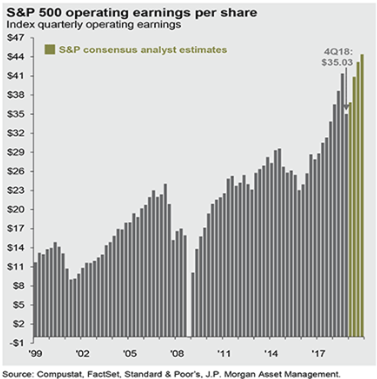 Overall corporate earnings for companies in the S&P 500 (there are actually 505 companies in that index, by the way) are expected to shrink 4%. Today JP Morgan and Wells Fargo were the first to report good earnings, adding fuel to the rally. Next week 46 S&P 500 companies report and another 134 will follow the week after that. As this chart indicates, after a brief slump this quarter, earnings are expected to accelerate again. 7. UBER & "Silicon Valley Nonsense"?! While we can all understand the game changing benefits of UBER technology, more than one commentator thought UBER’s mission statement related to its $100 Billion IPO filing might have gone a bit too far. Uber says its mission is: “To Ignite Opportunity by Setting the World in Motion.” Still, the facts UBER shared with the world this week are impressive: Revenues grew 43% in 2018 to $11.3 Billion and their loss narrowed to $3 Billion. Uber has completed over 10 Billion trips and paid out $78 Billion to drivers . 73% of UBER’s trips were outside the US and 24% of the bookings come from these 5 Metro areas: LA, San Fran, New York, London, Sao Paulo.